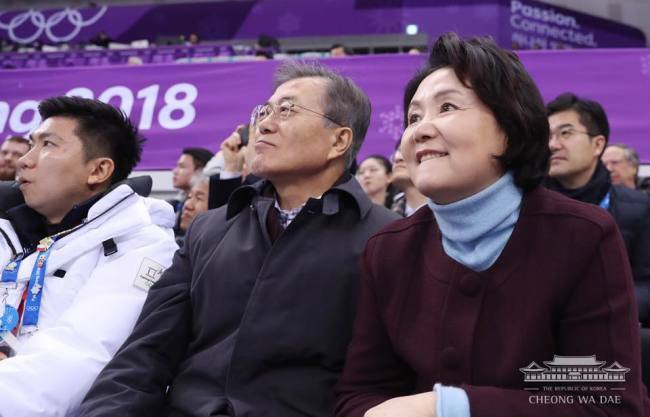 President Moon Jae-in and first lady Kim Jung-sook were spotted locked in a tight embrace while watching the PyeongChang Winter Olympics short track speedskating games Saturday. 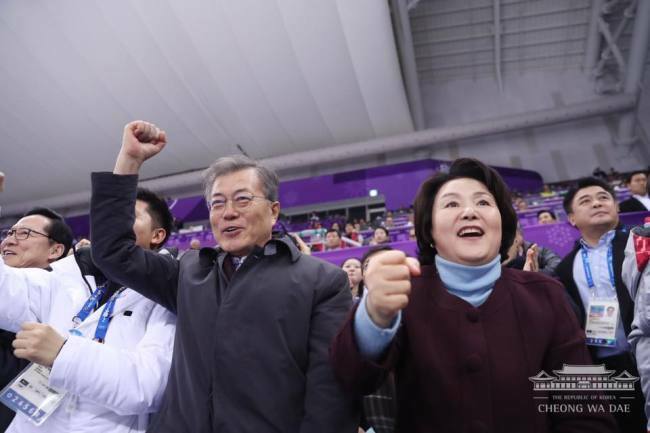 The presidential couple entered the Gangneung Ice Arena around 7 p.m. just before the women’s 1,500 meter short track preliminaries began. 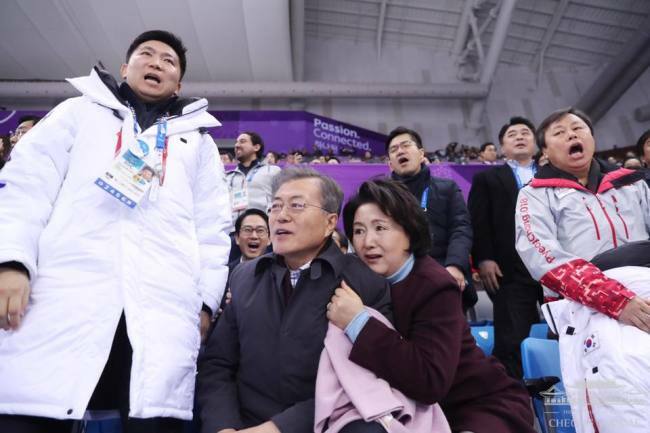 Moon and Kim in particular gasped and cheered with each turn of events, showing regret when Korea’s Shim Suk-hee, one of the strongest gold medal favorites, was eliminated from medal contention during the preliminaries. 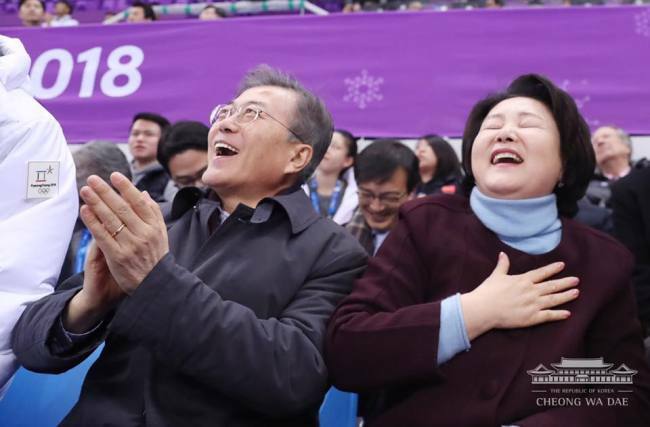 They cheered as Kim Alang and Choi Min-jeong went on to compete in the finals. 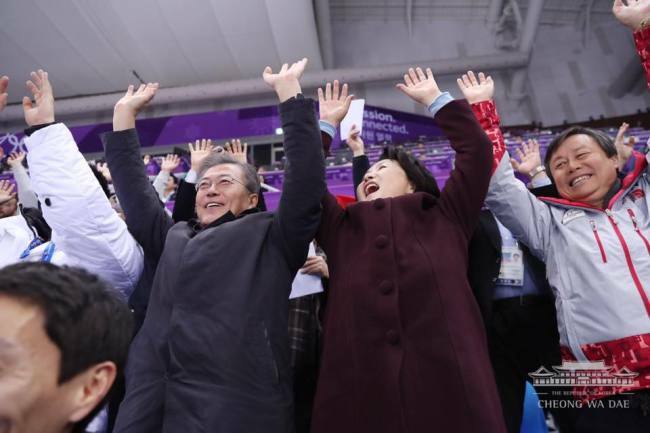 Moon and Kim jumped in unison with their arms in the air when Choi crossed the finish line for the gold medal.